I just found a real cool screen saver that my brother is using. 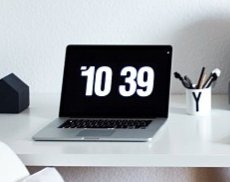 After a preset time of inactivity your computer screen switches over to an old style flip-over clock. It looks great and is functional. Here’s how to get it going.